You Save $52.35 by purchasing this kit rather than buying the items separately. "Great Value and So Much Fun"
COMMENTS: This kit is not only affordable , it is fun. My 11 year old and I made them for classmates and they looked and smelled amazing. So much so that my fourteen year old asked for one when he saw them sitting on the counter. When I told him he could not eat them he was stunned.. COMMENTS: This is a great mold for soap pops. I used the Neapolitan FO and the three colors as suggested in the kit. The FO is FABULOUS. As far as working with three colors in the mold, it is difficult to get the colors into the mold without getting some on the sides. So, I ended up with some streaking (white with pink streaks, brown with white streaks). Save yourself the hassle and just make solid color pops. Also, once dried, I found that the brown and pink colors faded. The brown did a uniform fade, but the pink ended up all different mixed shades that looked awful. Like it sat out in the sun too long. Glad I did them a week ahead before giving them away, because I ended up not using them. Also, once they sat for a few days, there was a dark line between the colors that I am guessing was from the alcohol that was suggested to spray between layers. Bottom line....definitely solid pops the next time. 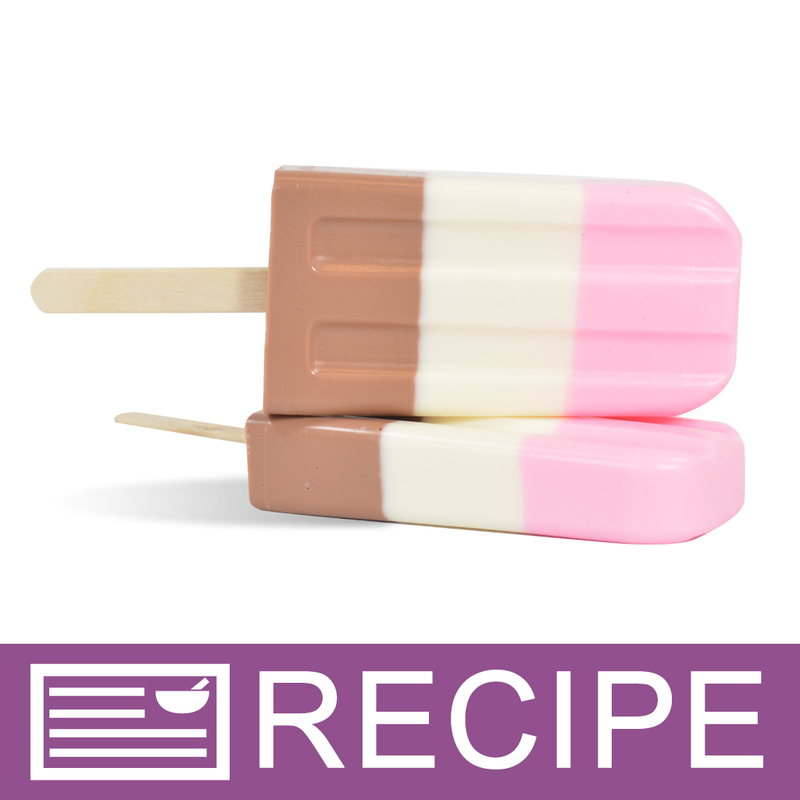 COMMENTS: I finally made the Neapolitan soap pops, they are SO easy to make. I love the smell of the Neapolitan, it makes my whole house smell so good and the pops came out so cute and ready to eat, but we cant. :O) My daughter and her friends loved them and so do my friends. My next soap pops are to going to be for the Fourth of July theme colors - red, white and blue. So cute but trying to get the pops into the packaging is a bit difficult. If any one can suggest an easier way to get the pops into the bags with out leaving all kinds of marks they would be appreciated. Once the pops are in the bag they look so cute! All in all, I love making the pops. COMMENTS: I really like how these pops turned out. Can't wait to show these off. The smell is dead on for Neapolitan ice cream. "So cute and easy to make"
COMMENTS: this kit was easy to use, the soap came out really cute and the Neapolitan fragrance oil is dead on and smells delicious! "Does this kit come with only 18 soap pop sticks and 18 shrink wrap bags or 20 of each to make the whole kit? Thanks." Staff Answer The kit is designed to make 18 soap pops. We have updated the information to reflect this. Thank you for bringing this to our attention.